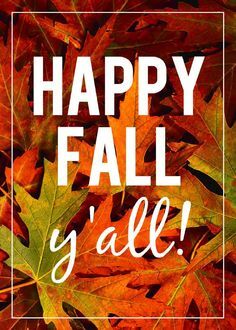 Happy Fall to All of Y’all! I started to write up my thoughts on a few news developments that either happened or I found out about after posting this week’s round up of news and other things of interest, but I think I’ll wait on that. Yesterday was the autumnal equinox, and therefore the first day of autumn, and fall is possibly my favorite season. There are a few things to note about this particular transition of the seasons at least where I live. First, we officially can enter summer 2017 into the weather record books for a couple of different things. It was officially the driest summer (going by solar summer: June 21-Sept 21). Seattle summers are usually relatively dry, particularly compared to our Novembers, but this year was exceptional. Only 0.52″ of rain total, and it is worth noting that 0.50″ of that rain came in the last six days! Which certainly contributed to many days that the city was blanketed in smoke from various wild fires in British Columbia, Eastern Washington, and Central Oregon. Summer 2017 also tied for the hottest summer ever recorded (1967). Though it is worth noting that 2014 and 2013 are tied at second hottest only one-tenth of a degree cooler (and 2015 was two-tenths of a degree cooler, so we definitely have a trend going). But that nightmare is over, at least until next year. The jet stream has shifted. We got light rain last weekend, the daytime highs have been in the high 50s to mid 60s all week. We may break 70 again late in the week, but that’s a considerable improvement over the temps just two weeks ago. So, autumn is here! Time to start thinking about Halloween and Thanksgiving decorations. Time to break out the pumpkin spice (I actually started experimenting with pumpkin spick cocktail recipes the day we got the first rain last week).